In 2017, it has been a bumper year for apartment sales in Paris, both in terms of price increases and volume of sales. 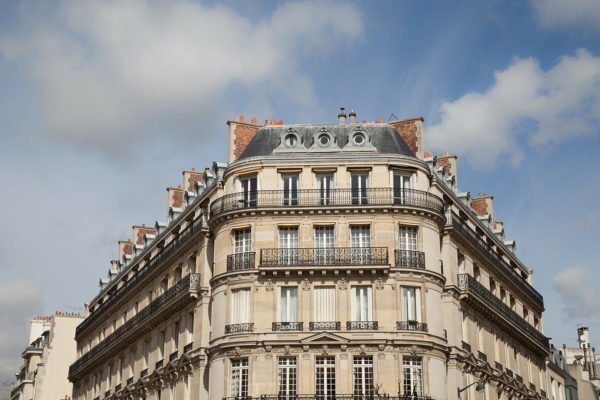 According to a recent report by Notaires of Paris Ile-de-France (the representative of the buyer or seller and official of the State, who performs all the legal requirements and retains payments to complete a transaction), sales increased 21% year over year. In fact, the first nine months of 2017 produced more transactions than the entire years: 2012, 2013 or 2014. In terms of prices, the upward trend continues with a 7.8% increase overall in Paris (Ile de France). 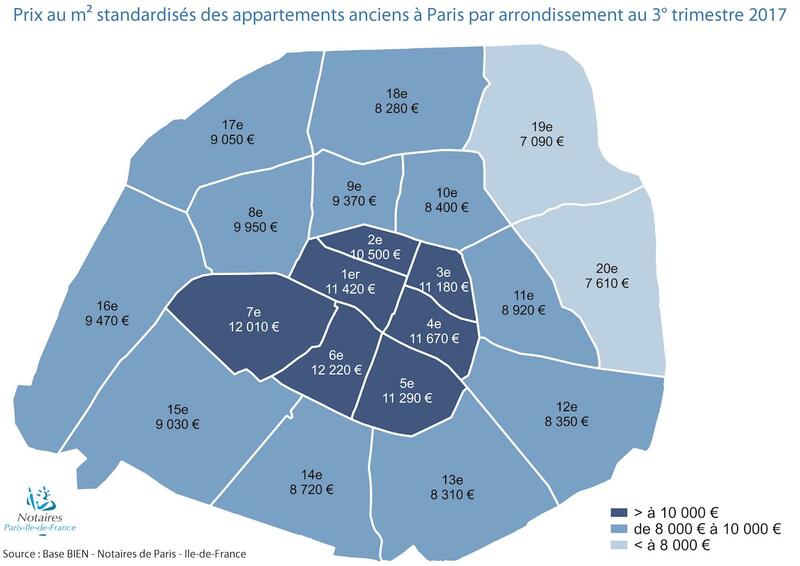 Prices in every quarter rose, but 3.5% for inner Paris arrondissements (the inside of the snail or quarters 1 to 8) and 2% for the outer arrondissements (generally the double-digit quarters approximately 12 to 20). Our thesis for 2017 has proved correct. Low-interest rates, a lower Euro and a city that has lagged behind other global cities led to record transactions and prices. Results have far exceeded the market highs recorded between 1999 and 2007. The economic situation remains buoyant as we approach the end of the year – but what does 2018 have in store? 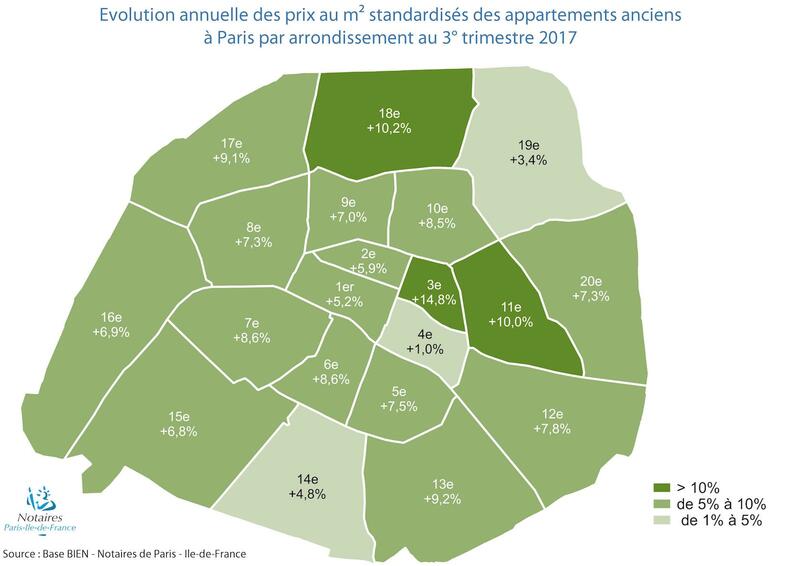 Despite new price increases being reported by Notaires in the third quarter of 2017 across the Ile-de-France region, experts predict a slow down in the coming months for the Petite Couronne (inner Paris) and for the Grande Couronne (the outer arrondissements in Paris, mostly the ‘double-digit’ quarters) in particular. 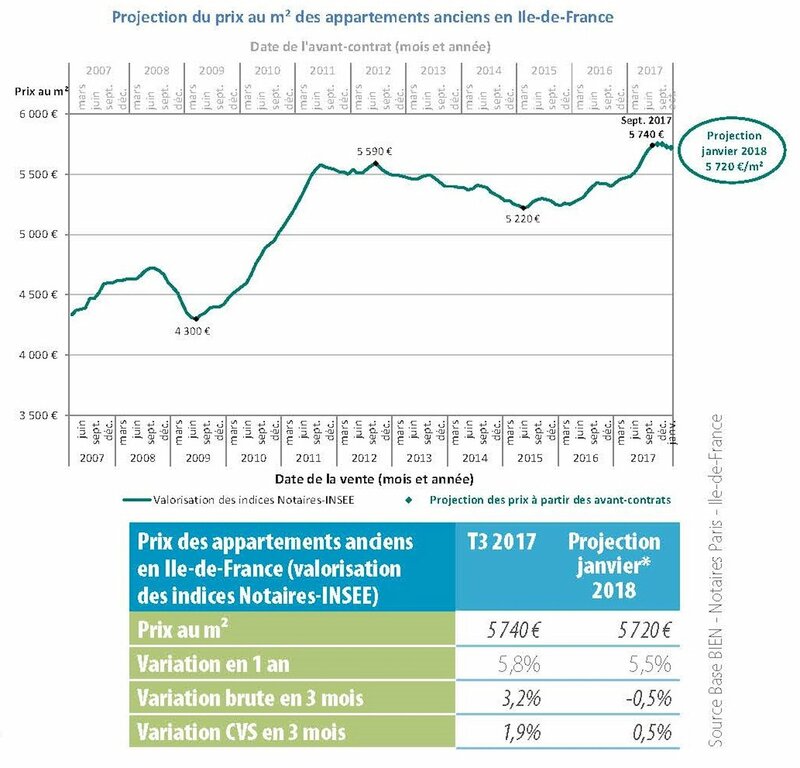 In the Petite Couronne, apartment prices increased by 5.3% on average in one year (versus 7.8% for Paris), whereas, in the Grande Couronne, this growth was limited to 2%. Sales growth in these departments will also begin to slow, which is inevitable given the record levels reached. 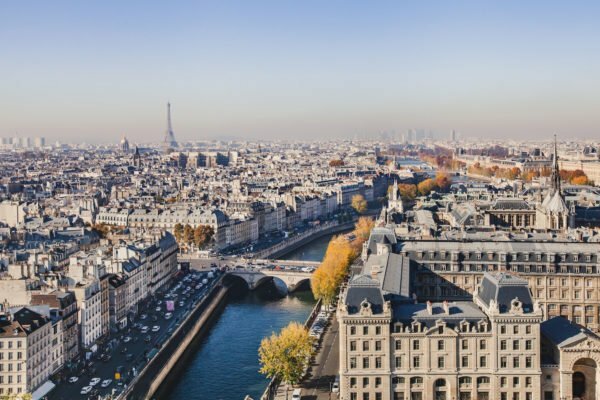 As seen in the widening gap between Paris and the rest of France, Paris itself will be relatively unaffected by this slow down, where the acceleration of transaction volume is expected to continue. The law of compounding will limit the rate of increase but demand continues to outstrip supply. Prices could grow by a further 10% as a result of renewed buyer interest in the market. Paris, therefore, remains a solid and sustainable place to invest, with good returns guaranteed. One variable which yet remains to be seen is the potential impact of fiscal reforms in 2018. Nevertheless, experts from Notaires remain confident that the various elements which have propelled this growth (i.e. the economic upturn, gradually improving job market, and low-level interest rates) are not changing – at least not in the short term, immediate future. Paris has laid a golden nest egg in the form of the 2024 Summer Olympic Games. It may seem a long way off, but this landmark event will come hurtling towards us faster than you know. The focus will be on the redevelopment of outer arrondissements such as Saint-Denis and exciting development plans are underway to revitalize these peripheral neighborhoods and the site of the new Olympic and Paralympic Village. 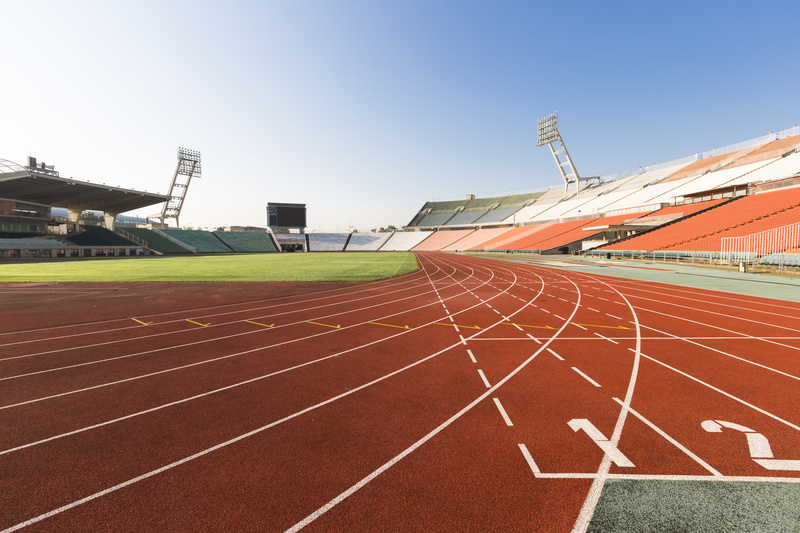 Investment is always a positive factor in economic terms; you’ve only got to look at the legacy of the London 2012 Summer Olympics to realize the positive, knock-on effect this will have in real estate terms. Similarly, the former athletes’ village in Stratford, East London, has successfully transitioned to a vibrant community. Expect similar economic regeneration of Parisian suburbs. 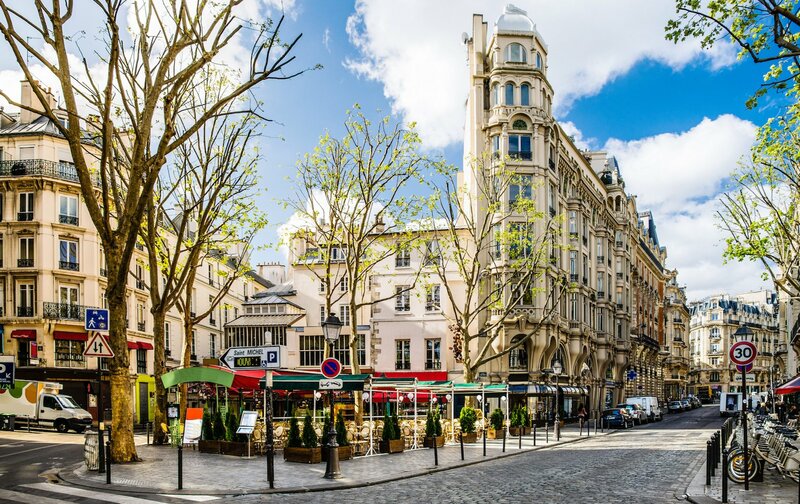 Paris real estate has such cachet on the global market that it’s making waves in China. According to a recent survey which analyzed 54,000 development projects in 137 cities across the country, Chinese homebuyers are considerably more likely to invest in residential property if it has ‘Paris’ in the name – or even ‘Champs Elysées’ or ‘Versailles’ – since this evokes a powerful sense of romance and sophistication. Well… we can’t say we disagree! 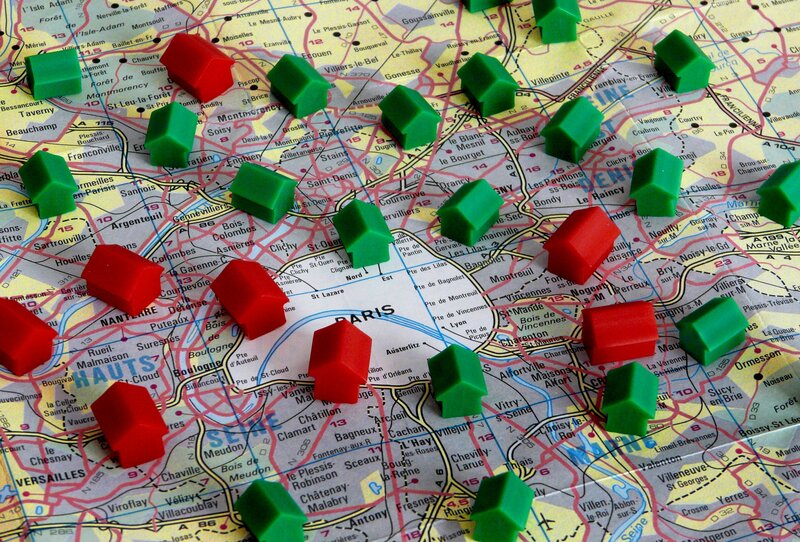 With low-interest rates and global demand, Paris remains an attractive location for investors. If you are interested in investing in Paris, our acquisition team will be pleased to help you decide if it is right for you. Take a look at some of our latest listings here. Our team at Paris Perfect has all the information you need to find and manage the dream property that’s right for you. Contact us for more information about how we can support you from beginning to the end of the investment process. Posted on Wednesday, December 13th, 2017 at 5:18 am in Paris Perfect News. You can follow any responses to this entry through the RSS 2.0 feed. You can leave a response, or trackback from your own site.